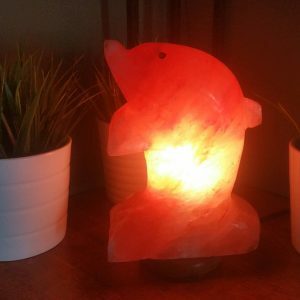 Categories: Animals, Giftware, Himalayan salt lamps, Holistic health products, Relaxation / Meditation. Bring a calm, serene and tranquil feeling to any room with a beautiful salt lamp. Salt lamps are known throughout the world for their ability to purify the air. These natural air purifiers work when lit by emitting negative ions into the air that attack positively charged particles. Salt lamps should be kept away from moisture and are intended for indoor use only. 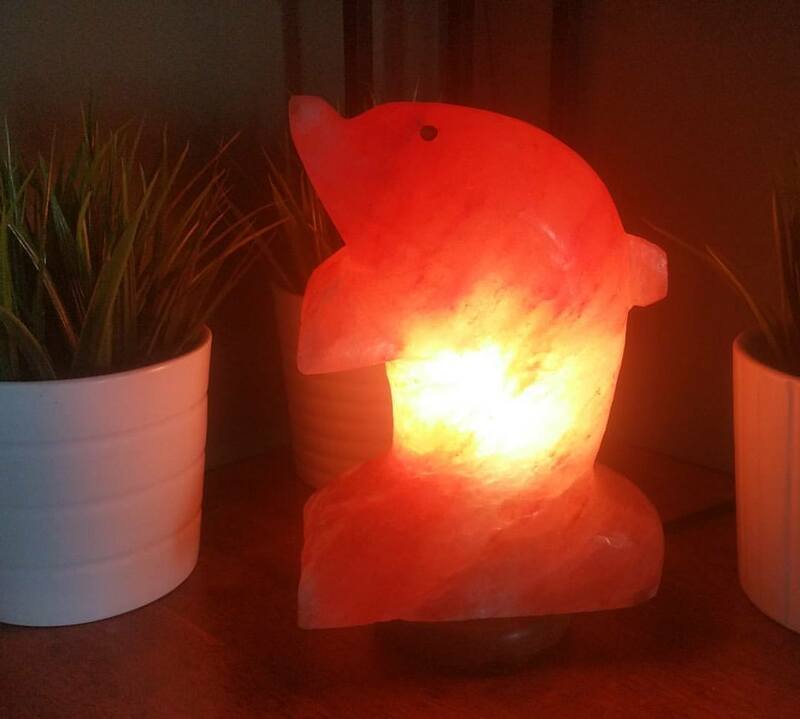 Each beautifully polished Dolphin inspired salt lamp comes on a wooden base and includes a bulb and UL & CE certified cord.